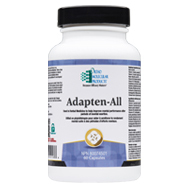 Adapten-All contains a blend of key micronutrients and botanicals specifically formulated to support healthy energy metabolism, relieve weakness, and after exertion, improve mental and/or physical performance. 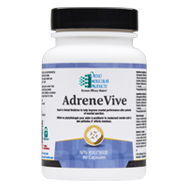 AdreneVive contains a blend of botanicals and ingredients specifically formulated to relieve weakness, and after exertion, improve mental and/or physical performance. 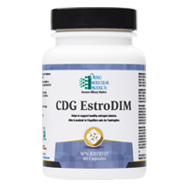 CDG EstroDIM is a targeted supplement that combines the synergistic benefits of indole-3-carbinol (I3C) and diindolylmethane (DIM) to support estrogen metabolism. 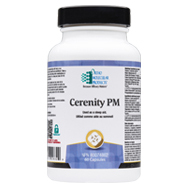 Cerenity is a comprehensive formula that contains gamma-aminobutyric acid (GABA) to temporarily promote relaxation. The formula also provides antioxidants to combat free radical stress. 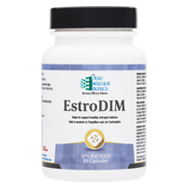 EstroDIM is a targeted supplement that combines the synergistic benefits of indole-3-carbinol (I3C) and diindolylmethane (DIM) to support estrogen metabolism. 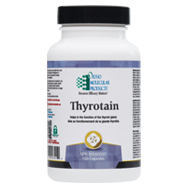 Thyrotain is a comprehensive formula designed to support thyroid health. Thyrotain includes iodine, which makes up the backbone of the thyroid hormones thyroxine (T4) and triiodothyronine (T3).